General Information: The Easter Egg radish is a spring radish harvested early in the growing season resulting in a smaller radish. The winter radishes grow slowly, are harvested later in their growth and result in a more elongated-shaped or larger round vegetable. 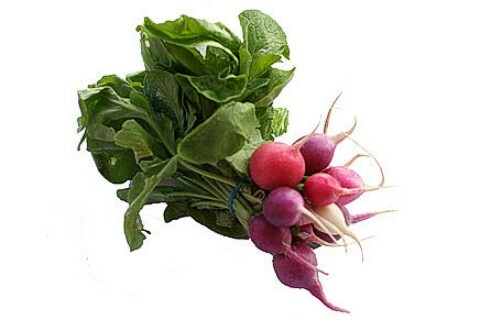 The Easter Egg radish varies in colors ranging from light shades of pink to dark crimson reds and provide a milder flavor. They are typically served as hors d'oeuvres, as complements to salad or sandwiches.